As a Senior Commercial Real Estate Broker with MGR, I specialize in assisting my clients in leasing and selling their asset(s) and helping them purchase properties. I handle properties from Industrial, Retail, to Office and Multi-Tenant Residential Income. In addition I assist my clients in purchasing investment properties to increase their positive cash flow. 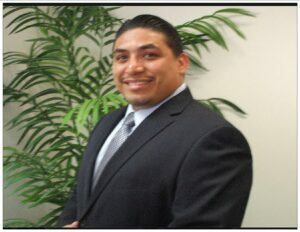 I serve Riverside County, Orange County, Los Angeles County and San Bernardino County. At MGR Real Estate Commercial Brokerage we have a combined 38 years of experience. MGR’s year to date in acquisitions are $258,024,087.00 just in our local area that we have been part of. As you can witness we are deal closers and Power House Brokerage Firm. You are my priority as my client, I am focused, determined, and have integrity. As your Broker my goals are to find opportunities for you to fit your needs, great customer service, and make sure your return on investment is safe and maximized. Call me to discuss options and opportunities for you.